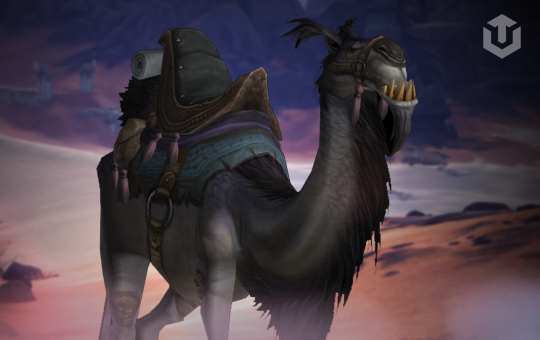 Grey Riding Camel mount boost is easy and fast way to save your time and get one of rare mounts in World of Warcraft. Mount was added in Cataclysm expansion and still remains rare in game. This carry also grant you Feat of Strength achievement and cool title. Mount is obtained by clicking on proper small Mysterious camel figurine which randomly spawns in Uldum location. Upon clicking on statue your character will be teleported to special zone with rare elite Dormus the Camel-Hoarder which 100% drops the mount. Our experienced rare mount hunter will find correct statue and get mount for you.